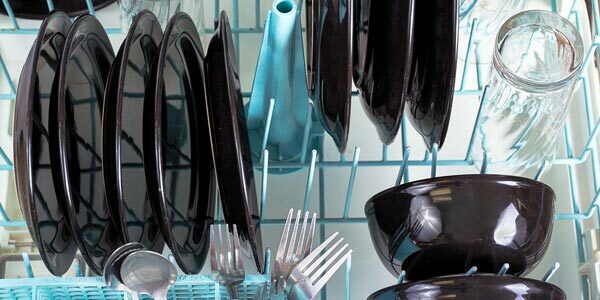 If you have dull, cloudy glassware at the end of your dishwashing cycle, then your dishwasher isn’t doing its job correctly. 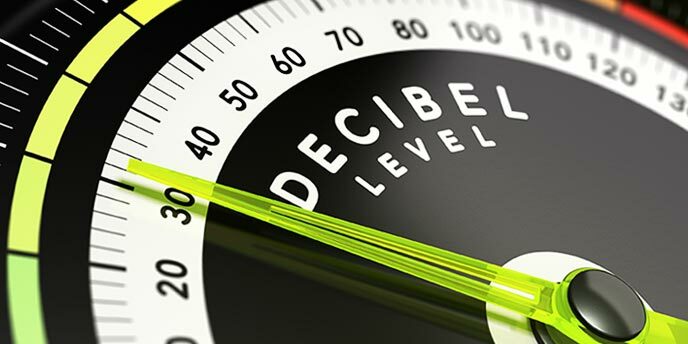 This can be frustrating and embarrassing, especially if you plan on having guests over for a dinner party. Trying different dishwasher detergents or rinse aid additives that claim to solve this grimy problem may increase your frustration, as these are often hit or miss. In order to get that hazy scum off your glassware for good, you’ll first need to discover what is causing the problem, and then work on resolving it from there. Below, we have outlined several different possible causes of your cloudy glassware. Hard water is called hard because of the high amount of calcium and magnesium it contains. Hard water can deposit these minerals (limescale) onto anything inside your dishwasher. However, you may only notice it on your glassware, as these will appear filmy, cloudy and unclear to the naked eye. Even the best dishwashing detergents will a hard time dissolving dirt and grime, and truly rinsing it all away when there is an elevated amount of limescale present. If your glassware is cloudy because of hard water deposits, it is recommended that you act quickly. The longer you wait to tackle this scummy problem, the more difficult the deposits will be to remove, and the problem will only compound and grow worse the longer you wait. If you’re unsure about whether hard water is to blame or not, try soaking your cloudy glassware in vinegar for about five minutes. 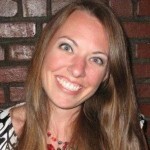 If the glasses comes out clear, then hard water is your culprit. If you know that hard water is causing your discolored glasses, you can start by using more detergent in the wash cycle to help remove filmy stains. Filling both cups with detergent and running a wash cycle may do the trick. You may also need hotter water. 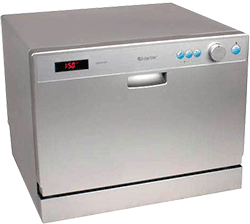 Dishwasher detergent works best with hard water when the temperature of the water is above 130° Fahrenheit. White distilled vinegar can also successfully remove limescale deposits left by hard water by helping to loosen the minerals that are making your glassware filmy. You can use a rag with a few tablespoons of vinegar on it and rub off the mineral deposits by hand, or you can soak glassware in a mix of hot water and about 2 cups of vinegar. After immersing the glasses for a bit, shake off the excess water and then let the glassware air-dry. The vinegar will evaporate completely, leaving no offensive smell or residue, and your dishes will look brand-new. If any residue does remain, simply give it a quick rinse and let it air dry. 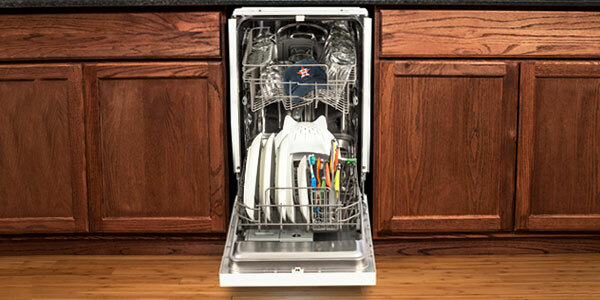 Another possibility is to right to the source, by adding vinegar directly to the dishwasher in the rinse compartment. Instead of spending money on a rinse aid, try using vinegar instead. This is especially effective when combined with higher temperatures, as it will help prevent cloudy film from developing during the washing process. This can also help to combat a stinky dishwasher, but if you have especially hard water, you won’t see the same strong results that you can get from hand-cleaning the glassware with vinegar. You can also use pages from a leftover black-and-white newspaper to clean filmy scum off your glassware, leaving you with sparkling clear glassware once again. Much like paper towels, newspaper is actually highly absorbent, which makes it a great cleaning tool as it will help absorb the vinegar while cleaning your glasses instead of streaking the vinegar around. Best of all, newspaper is cheap, disposable, and recyclable. Newsprint can also work wonders on cloudy, streaky window glass. Even using just water and newspaper can remove streaks from windows and help to bring in the sun. Just make sure not to get the newspaper on any wood moldings around windows, as the ink from the paper can stain them. Antacid tablets also have a reputation for cleaning cloudy, stained vases and antique glass items that you don’t want to put in the dishwasher. Simply fill the item with water, drop a tablet in the bottom (or crush it and pour in the pieces if the opening is too small), and wait a few minutes before rinsing out your item and wiping it down. This is one of the simplest and quickest ways to safely clean your glassware, and so in a way that leaves them shiny and clear. Antacids can be found in almost every household, and can be used to clean in unique ways. If hard water isn’t your issue and a vinegar rinse doesn’t fix your cloudy glasses, then you might have etching on your glassware. Etching is essentially lots of permanent tiny scratches on your glassware, and it can happen for a number of reasons. 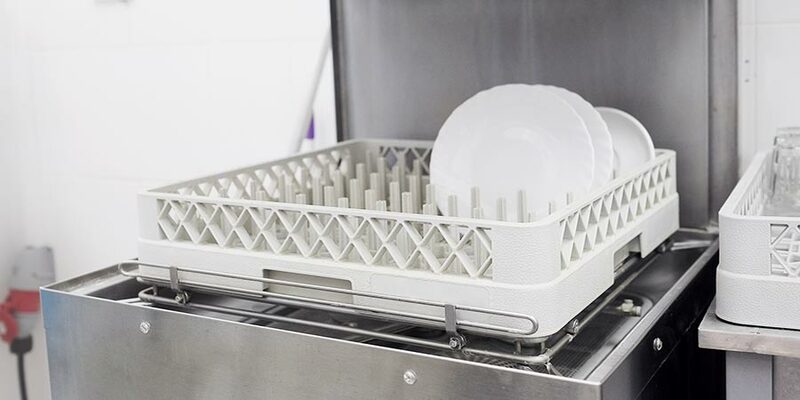 Things that can cause etching are soft water, too much dish soap, dish soap that contains phosphates, water that is too hot, or dishes that are overly-rinsed before being placed in the dishwasher. By trying different combinations of dishwashing methods, you can pinpoint which of these could be causing the etching of your glassware. Try switching your dish soap to something without phosphates or washing with cooler water. If you do have soft water, use less detergent than is recommended. Soft water works to accelerate the cleaning process of soaps and detergents, sometimes to the detriment of glassware. Using less detergent will help combat that issue. You should also remove your glassware from the dishwasher right after the wash cycle, as the drying cycle is when most of the etching damage occurs. The high heat of your machine will actually make the scratches worse. Even the temperature of your water can affect your glassware: water that is above 140° Fahrenheit can worsen etching. 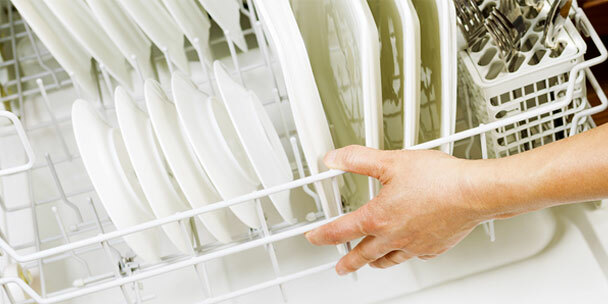 Detergents that contain phosphates can also do irreparable damage to your dishes. 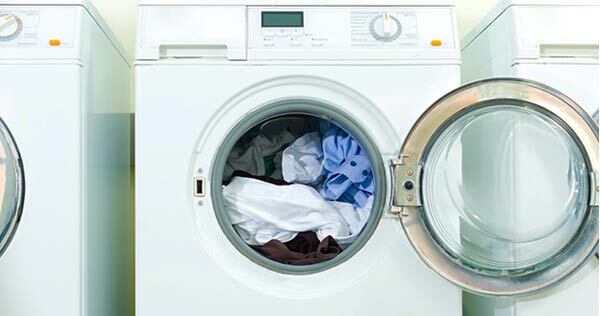 Phosphates are used in detergents to get things squeaky clean. These compounds are very rough on your dishes, and they can actually be too aggressive in cleaning your glassware, leaving little scratches behind. In addition, if you like to rinse your dishes before placing them in the dishwasher, you could actually be doing more harm than good. Dish detergent essentially needs a little bit of dirt to work properly, so if you take that away, the detergent may work too well and can leave your dishes with damage from being cleaned too forcefully. 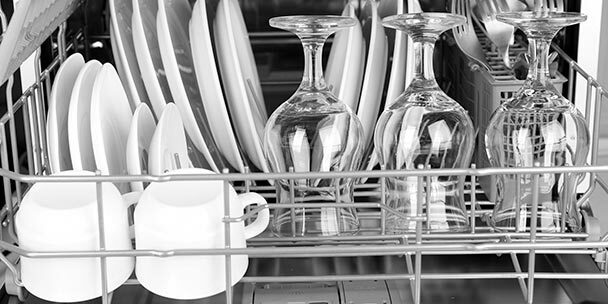 To avoid hard water stains, etching, or other damage from your dishwasher, it is recommended that delicate glassware such as wine glasses and vases be hand-washed and air dried. Use a mild soap, wash gently, and dry your glassware immediately in order to keep it safe and in pristine condition. This cloudiness just started when we moved into our new home in December. We only moved a half block so the water hasn’t changed. The only difference is the dishwasher itself. Any ideas? can’t clean them with anything. But I never tried vinegar will this work.